Przemyslaw Palka is a Research Scholar in Law and Private Law Fellow at Yale Law School. His research focuses on private law and new technologies, including artificial intelligence, virtual property and consumer & data protection law automation. Before joining Yale Law School, Palka worked as a researcher at the European University Institute in Florence, where he also earned his Ph.D.
Przemyslaw Palka is a Research Scholar in Law and Private Law Fellow at Yale Law School. His research interests encompass property and contract, consumer and personal data protection law, and intersections of law, regulation and new technologies. In particular, he studies novel types of objects of legal relations (digital and virtual items, data), ways of controlling actions of artificial agents, privately created digital regulatory environments (terms of service, digital force, regulation through code), and modes in which legal discourses conceptualize and internalize these phenomena. 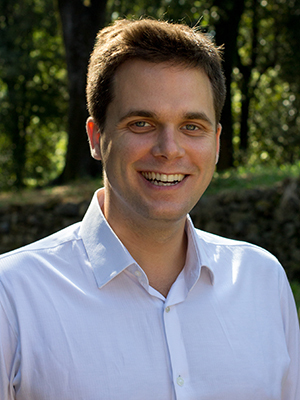 Before joining Yale Law School, Przemyslaw studied law at the University of Warsaw, Poland, and completed his Ph.D. at the European University Institute in Florence, Italy, where he later worked as a research associate, studying opportunities and challenges that artificial intelligence poses to consumer law and policy.